Wow! Can this big hunk of metal really get off the ground? I must be looking at a thousand square feet of aluminum skin, along with a million different parts, all held together with a zillion bolts, a ton of nuts, washers and many, many miles of safety wire. There is enough shade under each wing for at least 1000 people and at least another 300 under the tail. And just look at that tail. Almost 50 feet high, too tall to throw a soft ball over! What a beauty! This was my impression when first introduced to that magnificent monster, the B-36B in the summer of 1949. It was still a clean six engined pusher type, propeller driven aircraft, with no jets. They would be added later. I was a 1st Lt., with about fifteen hundred flying hours, recently returned from a tour flying cargo aircraft on the Berlin Airlift. I was assigned to the 9th BWH, flying primarily B-29s. We were to transition to the B-36s as they became available from the factory at Ft. Worth, Texas. We soon had 3 or 4 of these wonderful, modern, new aircraft, with crews formed to man them. Since we had pilots with more experience than I, my assignment was as a crew co-pilot. My crew was somewhat down the line on the check-out list, so we spent our free time ogling this beauty, and talking about it with those already in the program. The idea for this big plane came along in the ’40s. Our leaders felt we needed a bomber capable of making an ocean crossing, bomb the European continent and return. If the Germans would be successful in denying us the use of bases in England, we would have no planes capable of bombing them. So, on April 11, 1941, the Army Air Corps was authorized to ask Consolidated and others to submit plans for a bomber capable of flying at 25,000ft., 275 MPH and carry a payload of 4,000lbs. This resulted in competition between the Consolidated XB-36 and the Northrop XB-35 flying wing. A later all-jet “flying wing”, the YB-49 was also developed. This model had eight jet engines and was capable of an amazing 520MPH, unheard of at that time. The XB-35/YB-49 had some stability problems however, and were quite a radical design for the time. With no long tail to stabilize and help turn the flying wing looked more like a boomerang than an aircraft. So because of this and the usual dose of “politics” the powers that be went with the XB-36. The first flight was on Aug. 8, 1946. The XB was developed with a 9 foot, 2 inch single tire on each main gear, the largest aircraft tire ever produced. With this very heavy foot-print, there were only three US airfields with the 22 1/2 inch thick runways that were needed. They were Carswell, Eglin and Fairfield-Suisun (renamed Travis AFB). This single tire setup was soon discarded and the twin-doubles developed. These proved much more effective. With more rubber on the pavement a runway only 13 1/2 inches thick was required. This made 22 primary and 22 alternate fields available. Modifications were made to the 22 A models changing them to Bs. Seventy-two more Bs were produced, following its first flight on 8 July 1948. Changes were made in the R4360 engines, upping the horsepower to 3,500 each. This gave a service ceiling of 42,000ft. and a top speed of 381mph. Performance data now used was based on “combat weight” (expected weight over the target, not take-off weight). This computing method raised the A model to a speed of 345mph and gave a service ceiling increase from 31,600 to 39,100ft. Then more changes and soon the D model followed. It had more engine improvements and the addition of a single pod containing two General Electric J-47-GE-19 engines under each wing. This gave a top speed of 439mph with a service ceiling of 45,200. Gross weight went to 357,500 lbs, cruising speed to 225 and it could carry a 10,000 lb. load for 7500 miles. Seventy-one of the Bs were modified to the D configuration. Landing speed remained a respectful 121 MPH. The first operational B-36 aircraft was delivered to the 7th BW at Carswell AFB, Ft. Worth, TX. on June 26, 1948. When production ended in August, 1954, 388 of these powerful aircraft had been produced at a cost of $3.6 million each. The statistics on this plane are still very impressive. Wing span 230ft., 162ft. long, a tail that towered to 46’10”, wing area of 4772 Sq. ft. A fuel capacity of 32,910 gallons and engine oil capacity of 1200 gallons. A crew of from 12 to 15 was needed to man all positions. Armament was eight remotely operated turrets with dual 20mm cannons in each turret. Each cannon had 600 rounds of ammunition available, except for the nose position, which had 400 rounds. All turrets, except the nose and tail turrets, retracted into the aircraft. Later, the J model came into being. All non-essential and crew comfort items were removed along with other weight reducing measures. This decreased the basic weight, making the performance of the J model even more impressive. It had a gross weight of 410,000lbs, cruise speed of 230mph, a max speed of 430mph. Range was 8300 statute miles with a service ceiling of 46,800ft. On this model all guns were removed except for two M24, 20mm guns in the tail. During this time the Air Force set up a ground school for prospective aircrews at Rapid City AFB, So. Dakota, which I attended in the fall of 1949. I believe it was the first training school where crew members came from other bases to a central location to receive training. This proved an effective operation and was used from then on. The B-47 had such a school in Florida, the B-52 in California, etc. It proved a most efficient way of training. My first flight, a round robin which kept us airborne for 30 hours, came on 18 Jan. 1950. There were several pilots on board, all scheduled to receive training. My instrument check was due which gave me priority to be aboard. Can you imagine, taking an instrument check on your first flight in a new aircraft, one of this enormity and complexity? The newest and most sophisticated bomber in the world at the time! I don’t remember much about it, except the check pilot was satisfied. My white instrument card was renewed. Although the new bomber was interesting and fun to fly, it had one rather naughty problem that gave the maintenance men a real fit. It wouldn’t hold its gas. That’s right. We were plagued with gas leaks. I recall seeing several leaks seeping from the wing sections and at the same time, drips in the bomb bay. Burning hi-octane aviation gasoline, this was not a problem to ignore. It didn’t take too long to become evident that this was a problem that could not be fixed by on base band-aids, it would require something more drastic. So, after having them for less than a year our B-36s were returned to the company to fix their leak problems. Here is other trivia data that really impressed all who qualified to fly this bird. The wing was more than seven feet thick at the root. A person could climb into the wing and work his way outboard of the center engine. The 19ft square tipped props were geared to turn approximately one half engine speed to keep them sub-sonic, which gave that unforgettable throbbing. Each aircraft used 336 sparkplugs, a big portion of which required replacing after each mission. The engineer’s station had an engine “analyzer” which was used periodically in flight to determine engine condition. Each engine carried its own oil supply of 150 gallons, which was not enough in some cases. The aircraft had four bombbays, which could be configured to carry up to 72,000 lbs. of bombs. There was an 85 ft. tunnel, between the two pressurized compartments. To go from one compartment to the other you had to lay on a cart and pull yourself along with an overhead rope. The tunnel has a slight V shape, with the low point near the center. By raising the nose slightly when someone was coming forward, you could really make him work. Naturally, if you lowered the nose, he’d come screaming through! We’d only do this to certain staff members, or others that had been uncooperative or obnoxious. The NB-36H was modified and used as an atomic reactor test bed. This aircraft was operated by normal means however, while testing was going on. This propulsion idea did not prove out and was discarded, but it was the only plane to have so served. Other aircraft were configured to carry fighter planes. The McDonnel XF-85 GOBLIN, a fighter with folding wings was developed to be carried in the rear bomb bay, but was never actually tested with the -36. Tests were also made with the RF84F, carrying, deploying and recovering it using a trapeze hook-up under the aircraft. They also tested the “Tom-Tom” Wing Tip setup which was to carry a RF84F on each wing tip. This was discarded when they found the intense wing tip vortices made hookup nearly impossible. Plus, the fighter pilot was trapped in his aircraft for the entire flight! None of these projects proved feasible and all were abandoned. My next association with the B-36 came in late summer 1954. I was assigned to the 92BWH at Fairchild AFB, Washington. The 92nd had three squadrons, flying the D and J models. Shortly after I checked in, the wing departed for a 90 day deployment to the island of Guam. By now I had 3200 hours of four engine flying time. I had been checked out as an aircraft commander, bomb commander and instructor pilot in the B-29s. So I was put into the program to be an aircraft commander. The wing had left a couple aircraft along with three or four instructor pilots at the home station. After seven instructional flights and two ferry flights, I was a checked-out aircraft commander, and soon after upgraded to instructor status. Many interesting occurrences happened during the nearly 1200 hours I was to spend in this aircraft. One, that earned my crew the coveted “SAC Crew of the Month” award for January 1956 occurred in late 1955. We were flying a routine bombing navigational training mission. We had been out quite a few hours and, due to a turbo compressor problem, were operating with less than full power on two engines. We were on a night navigation training leg when the gunners reported the exhaust shroud around one of the engines had failed. This let the very hot exhaust gas shoot back through the engine nacelle and was considered very much a fire hazard. We shut the engine down which solved that problem. In less than 10 minutes the gunner reported the same problem on another engine. We shut it down. So, with two of six shut down and two with partial power, we headed home. We started the jets, which were normally shut down during cruise, and used them to help hold altitude sufficient to get over the mountains. Arriving at Fairchild AFB, we had low visibility and a ceiling of 5-600ft. But, true to their advertising, the GCA unit brought us in through the clouds and mist perfectly lined up with the runway. After landing, a servo did not close, so the nose wheel steering would not work. Just another mission, but one we didn’t need to repeat. Many other remembrances come to mind. The first time I landed on packed snow was interesting. It was on a deployment to Eielson AFB, at Fairbanks, Alaska. We were briefed we’d be landing on an inch or more of “packed snow.” We were also advised that if we were aligned properly at touch down, it would make the landing much more pleasant. Our landing, as well as the others, all went well. For this deployment, we had “snow” tires installed. These were tires with what appeared to be steel wool molded into the tire. If you ran your hand along the tread, you’d get a hundred scratches. They seemed to do a lot of good. In the other temperature extreme, I remember the “green house” effect you got in that big glass cockpit, when on the ground in the hot sun. There was no air-conditioning, just a small fan which just moved the hot air. The sun would beat in through the glass and the temperature would soar. Many times I would be completely soaked with sweat before take-off. We were required to fire our guns each training quarter. To do this we usually went several hundred miles over the ocean. When we were in position and had no ships visible on radar, we’d give the command to fire! What a racket they made. It seemed that if several turrets fired in the same direction, you could feel the recoil through the aircraft controls. To keep from over-heating the gun barrels, the gunners were to practice shooting in short bursts, then take so much cooling time before continuing to fire. The extended turrets were into the slipstream which caused added drag, requiring more power to hold air speed. And then there were the super-secret “sniffer missions”. This was during the cold war and Russia as well as we were doing tests using atomic explosives. When our intelligence got wind of a proposed Russian test, we would fly out near Attu, on the Alaskan chain and hold for hours. All such missions would run twenty hours plus, so we could stay at our assigned location for many hours. Our aircraft were equipped with air pumps and a filter system which would extract particles from the air. Upon return these special filters would be analyzed and the “smart” people could tell the approximate yield of the detonation. While in the air we had no way of knowing if we were getting a “hot” filter or not. If the detonation was delayed, we’d go out the next night. One time, I believe we went out three times before the Ruskies actually let it go. We also ran missions giving the Tactical Air Command a chance to show their expertise in defense of the ADIZ (Air Defense Identification Zone). An exercise would be scheduled. The defenders would know it was scheduled sometime during a period of several days. Sometimes we would go single ship, sometimes several aircraft together. I recall going north, to near Alaska, then heading toward Hawaii, then turning east to enter the ADIZ around mid-to-northern California. If there were 10 bombers in the exercise, there could be 10 different flight paths. Or you could have one bomber follow another, 10-15 minutes later. We bombers would be at our optimum altitude and airspeed watching for the fighters. I recall seeing the fighters, probably F-89’s, come in for a head on attack. They’d pass us by with a closure speed of around 850MPH. (speed at which the two planes came together) That was usually the only pass they could make. By the time they turned around, we were fairly hard to catch. After the fighters with afterburners came into use, that would change. We were also permitted to intercept their radio frequencies, except for emergency channels and give false instructions. We often disrupted their games using this medium, anything to confuse them! I had one especially exciting take off from Eielson AFB at Fairbanks, Alaska. At that time their runway ran through some fairly dense woods. The trees had been cleared perhaps 2-300 yards on each side. I had a young third-pilot on board and was letting him make the take off. He was a husky individual, just like a football player. As we started our acceleration down the runway and the nose started to lighten for lift off, the aircraft wanted to go to the right. I told the young pilot to “give it some left rudder”. I could see no change, the nose still wanted to go right. I repeated my instructions and looked at his legs at the same time. I could see him straining so hard on the left rudder, his leg was actually quivering. I tried applying left rudder too, but it would not budge. By this time we were a good distance down the runway with the nose getting lighter all the time. So I called to abort the take-off. I pushed the nose firmly onto the runway, and reversed all six recips while still at take-off power. I didn’t think I had time to bring them to idle, reverse, then increase power. My first co-pilot was watching the take off from between the pilots’ seats. He beat me to retarding the throttles on the overhead panel that controlled the four jets. We were able to stop, stay on the runway and not blow any tires, but talk about the noise! By reversing all six engines at take-off power, that baby really screamed, bounced and bucked! The noise and vibrations in that cold air were horrendous. As we taxied back to the parking area, all the workers in the nearby buildings were out watching to see what made all that noise. The maintenance people found that the electrically controlled hydraulic servo that locked the huge rudder while on the ground had failed to release, preventing the rudder from moving. There was no way the aircrew could check this on the ground, since the rudder pedal moved only the servo trim tab, which along with the slip-stream caused the rudder to move. I felt I never needed to repeat that exercise. In Aug. 1956, my crew was picked to give a short, four hour orientation flight to eighteen AF ROTC cadets. We took off, climbed to a medium altitude and showed them the sights of the area. Grand Coulee dam, the Columbia river and the large lake behind the dam, Mt Rainier, etc. They all seemed to enjoy the flight; none got airsick. Years later, I was approached at different times by two individuals who told me they were one of the cadets who participated and remembered that flight! Just shows what a small world it really is. In April 1956 our wing again deployed to Guam for our 90 day rotation. We had my crew of 15 aboard, along with some 20-25 ground crew members. In those days we did not have the support of cargo aircraft, so carried most of our freight and support personnel with us. We departed Fairchild at full gross weight, flew west to the coast and set up our flight at 5,000ft. We held that altitude for perhaps 8-10 hours, then being lighter, we climbed to perhaps 12,000. After some time, we’d increase altitude again. We stair-stepped all the way to Guam. After thirty flying hours we arrived at Guam. When we extended the landing gear lever for landing, the left main gear would not unlock. This required one of the flight engineers to go into the wing, go to the wheel well and pull the manual “unlock” handle. After doing this the gear came down and locked. We landed without further incident. Ninety some-odd days later, we returned to Fairchild. The Wing Commander, Col. Roland Campbell decided he would return aboard my aircraft. This was somewhat an honor and let us be the first aircraft to depart Guam and the first to arrive back home. This time, they led us to the base operations area, usually reserved for transient and special aircraft. After we parked, a red carpet was rolled out along the Commander’s exit path. Course, we crew members told our wives it was rolled out for us! The B-36 was able to carry 72,000 pounds of bombs in the four bomb bays. The largest atomic bomb that the US ever had was the Mark 17, our first thermo nuclear bomb. It was 24’10” long, 5’2″ in diameter and weighed in at 41,400 pounds. It was to be deployed using a 64′ ribbon type parachute. As the B-36s were being phased out, so was this big bomb. My crew and I were picked to “get rid” of one of the practice bombs we had on base. It was the same dimensions as the real thing, but instead of having explosives, was filled with concrete to give the same weight. Its purpose was to give loading crews experience in handling and loading that large a weapon. So one of them was loaded onto our aircraft. To “get rid” of it, our flight path took us 400 miles out over the Pacific ocean. It was well after sundown when we got to the designated spot. We cleared the area with radar, and seeing nothing on the water, dropped that 41,400 pound hunk of steel and concrete. We had talked about the possible reaction the aircraft would display, losing that much weight so quickly. I remember we retarded the throttles slightly, but felt no great bounce. I often wondered how deep into the floor of the ocean that “bomb” went. Other memories are also vivid. We had a lot of instrument flying here at Fairchild, so we were on a first name acquaintance (almost) with the GCA (ground control approach) operators. During the winter months nearly all landings were actual GCA’s and during the good weather we practiced the procedure. It was hard to get the B-36 to settle down on a specific heading and hold it without wavering a degree or two to each side. It seemed like you just orbited around the heading you desired, sloshing back and forth, until you were on the ground. The nose of this aircraft was a series of windows, each held in it’s place in a metal framework. When in moist, warm air, we could get some terrific St.Elmo’s fire. It would snap and jump across the windows and run up and down the wings. Just a bluish ribbon of light “dancing” all over, back across the top of the wing, etc. It was fascinating to watch. It was so bright at times you could read by it. I am not aware of it ever doing any damage and when you were used to it, it was fun. Newer crew members sometimes didn’t agree. Some were quite apprehensive. The only time I ever got even slightly airsick was in July 1955. The AF Academy at Colorado Springs, CO. was to be opened and dedicated soon. There was to be a three ship B-36 flyover. My crew and another were picked to fly down and make some practice “runs” to get a feel for the area. One aircraft was provided by each of three different wings. We met the other two aircraft in the Academy area, joined into a three ship formation and made quite a number of low altitude passes over the grounds. Seems I flew for and hour or so, then the other crew took over. I went downstairs to sit out the remaining time. The air was extremely turbulent, and being at low altitude for such a long time, the air inside the aircraft was quite warm. This warm, somewhat foul air, along with the constant bouncing gave me a minor case of air-sickness. When the time came, a few days later, for the actual dedication and flyover, my crew was not chosen. I did not have to make the trip a second time and didn’t mind a bit. In 1956, like all things, the era of this magnificent monster was to end for us. My wing was scheduled to transfer into the newer eight engined all jet B-52s. What a change that was going to be. Instead of lumbering along at 200MPH, we’d do our cruise at .77 Mach, about three quarters the speed of sound. Instead of returning to our home station and taking nearly an hour to get on the ground, we could accomplish the same thing in about 10 minutes. So, none felt we’d rather hang onto the “old” 36s. As 1956 progressed, we started flying the big old birds to re-assignment bases. On the 25th of March 1956, my crew was assigned to fly the last B-36 aircraft (a J model) away from Fairchild. We delivered it to the bomb wing at Biggs AFB, El Paso, TX. Fittingly it was another cloudy, rainy day. After take off, about mid-morning and while still below the clouds we made a circular trip around the base. What a change! Instead of seeing some 35-40 big birds roosting on the ground, all we could see was wet concrete. Sad! Since retiring I have heard a time or two of an operational B-36 being flown at altitudes I find difficult to believe. Certainly I’m not the last nor best expert, but when I see figures of 50,000 plus and at one time better than 55,000 feet I’m curious. I don’t know what they were fueling their birds with, but ours, using hi-octane av/gas gasped and struggled to get to and maintain 45,000 ft. All ten throttles were at or near the firewall to maintain that altitude. In rechecking the Dash 1, both the D1 and the D2 oxygen pressure demand regulators were rated as adequate for altitudes only to 43,000 ft. From 43-45,000 they were rated as “marginal”. A caution states that at 50,000 ft., (when unpressurized) no more than 2-3 minutes of consciousness can be anticipated using either regulator. Hopefully this would give enough time to initiate a descent. And wasn’t the figure of 55,000 ft. what the altitude chamber people used to give as the atmospheric pressure point where a person’s blood will boil when un-pressurized? I never heard of any crew in our outfit being so daring or foolhardy. So, the big bird really earned its nickname, “The Peacekeeper.” It never dropped a bomb nor fired its guns in anger. It was truly the most effective deterrent during the long cold war with the communist countries. Its retirement truly signaled the end of a great era. I understand there are four B-36’s still intact and on display. The last one to fly is located at the museum at Wright Patterson AFB, OH, The last one built, which is also the last to carry the SAC (Strategic Air Command) emblem is located at the General Dynamics plant in Ft.Worth, TX. A “J” model is on display at Offutt AFB, NE, and a B-36 H is on display at Castle AFB, CA. I would never wish to punch the delete or diminish button on any of the great, fond and vivid memories I have. It was really the era of the “BIG BOMBERS”! ← A B-36 Story from long ago. What an amazing story, thank you so very much. 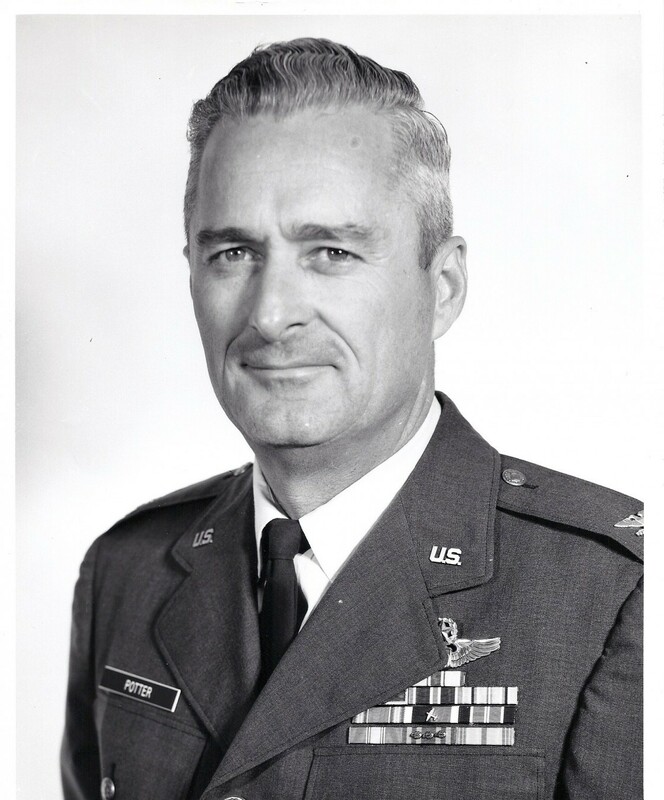 My Dad, Captain George W Steuben was a Lt. at that time and I have photos of him in Alaska and in Guam. This explains a lot. Thank you Thank you!